Neptune Wish R1 Bathroom Tub presents an aesthetically pleasing rectangular shape enhanced by smooth lines and accented angles. Superior quality polymer provides durability and years of performance, while a crisp white finish brings purity and elegance to the bathroom decor. 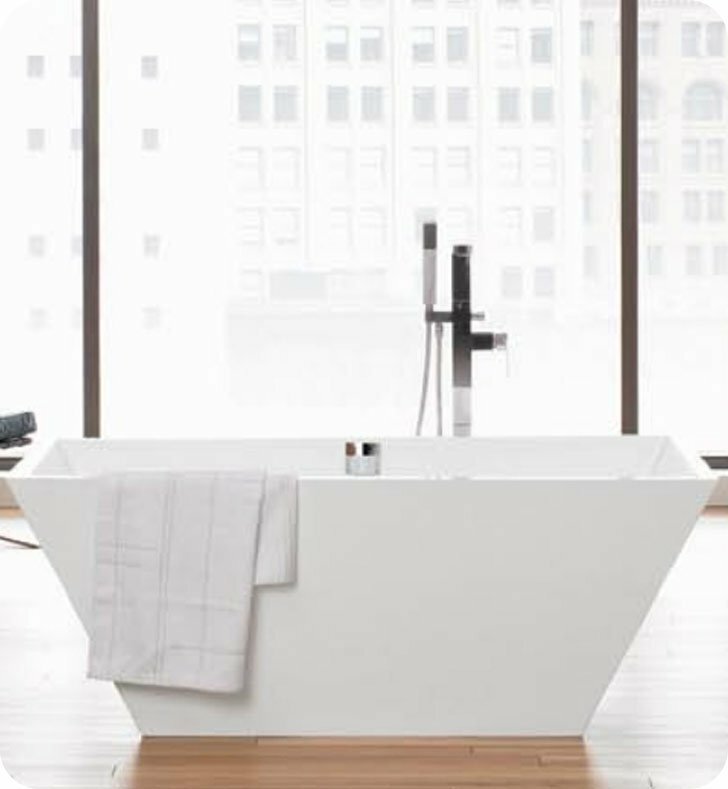 In addition to the unmatched beauty, this freestanding bathtub offers a deep, ergonomic interior to fit your body perfectly. With modern geometric design and range of customizable therapeutic features, this unique bathroom piece will turn your bathing into a truly delightful therapeutic ritual. Note: This tub comes with a chrome drain at no charge. Faucet not included. Outer: L 59 3/4" x W 30" x H 22 1/2"
Inner: L 57 1/2" x W 27 3/4"